GET READY FOR THE GREATEST SUMMER CELEBRATION AROUND! Start making your plans for our next July 4th celebration beginning on Thursday, July 4th with our fabulous Fireworks Spectacular Show on the lake. Then, continue celebrating at the lake through the rest of your holiday weekend. Come join us for a fun filled July 4th Mega Celebration 2019 with your family and guests! We couldn't put on our annual Fireworks Spectacular Show without your support! 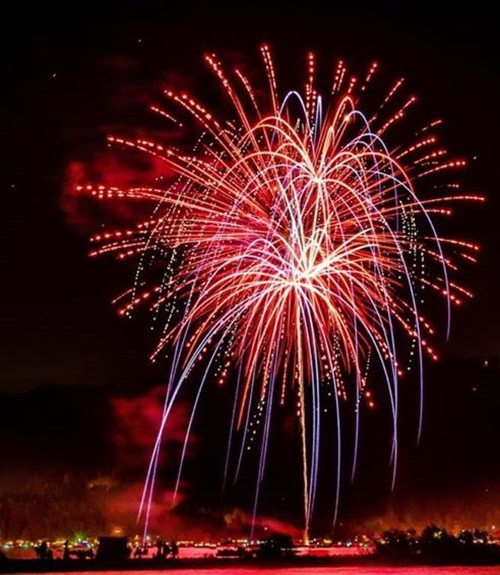 If you would like to donate to the show, and help us reach our goal, please contact the Arrowhead Lake Association at 909 337-2595 to donate and be part of this very special July 4th Mega Celebration event! PLEASE DONATE TO THE FIREWORKS SPECTACULAR TODAY!